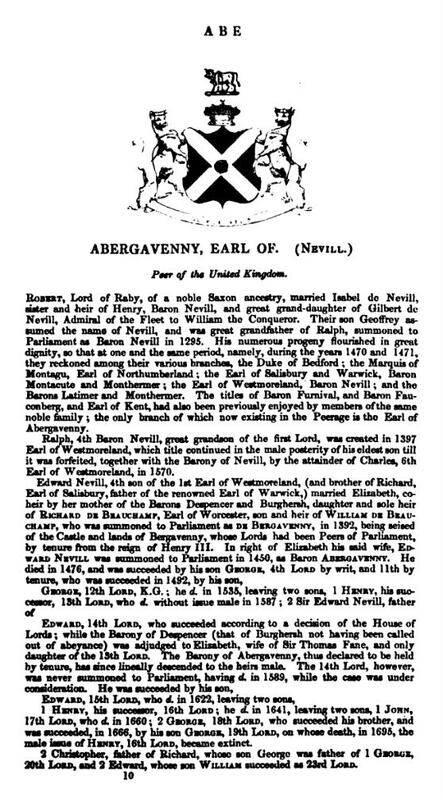 With Sketches of the Family Histories of the Nobility. The full text of the book, 541 pages, has been converted to PDF files and burned on a CD-ROM disk, viewable using the software program Acrobat Reader which is included on the disk. The text is NOT searchable, however the names are listed alphabetically. The disk is available for $14.95 + $3.99 shipping & packing charge (Add $1.00 S&P for each additional volume ordered). The title describes the contents of this book. There is an extensive genealogy of the royalty of England beginning with William I (the Conqueror), and concluding with Queen Victoria.